Asparagus is one of our favorite vegetables. Keep it crisp and bring out all its natural flavor by roasting or pan frying it. You are going to love this recipe and may even be tempted to lick the dish! In a small saucepan heat sherry just to a simmer. Add tamari sauce (or soy sauce), maple syrup, and sesame oil and reduce heat to low. Continue to cook, occasionally stirring, until the sauce has reduced to the desired consistency; approximately 10 to 15 minutes. Remove from heat. 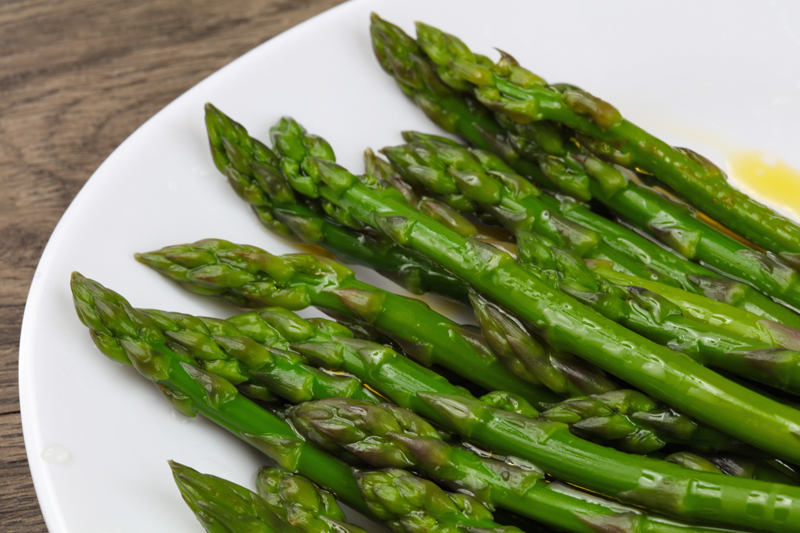 Lay the asparagus in a roasting pan in a single layer and pour half of the sauce over the asparagus. Turn to coat. Bake at 400° for 10 to 12 minutes, until asparagus is just tender. Turn the asparagus halfway through. Remove the asparagus from the oven, and transfer to a serving dish. Drizzle with the remaining sauce, sprinkle with sesame seeds, and enjoy immediately!